Umdlalo Lodge is an upmarket Four Star Guest Lodge with eight luxurious air conditioned en suite bedrooms plus a romantic honeymoon suite. Umdlalo Lodge has the flexible capability to host day conferences for up to 60 delegates. Zizi’s Restaurant, also a unique venue of taste is located in the lodge. 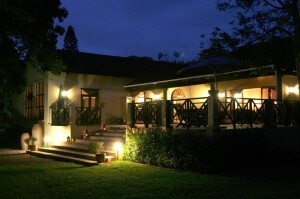 To complete the all under one roof package is a fashionable Ladies Bar overlooking a substantial veranda with sea view. The lodge, restaurant and facilities are all housed in total privacy surrounded by mature trees to make Weddings, Corporate Functions and Special Events an even more memorable event to be remembered. 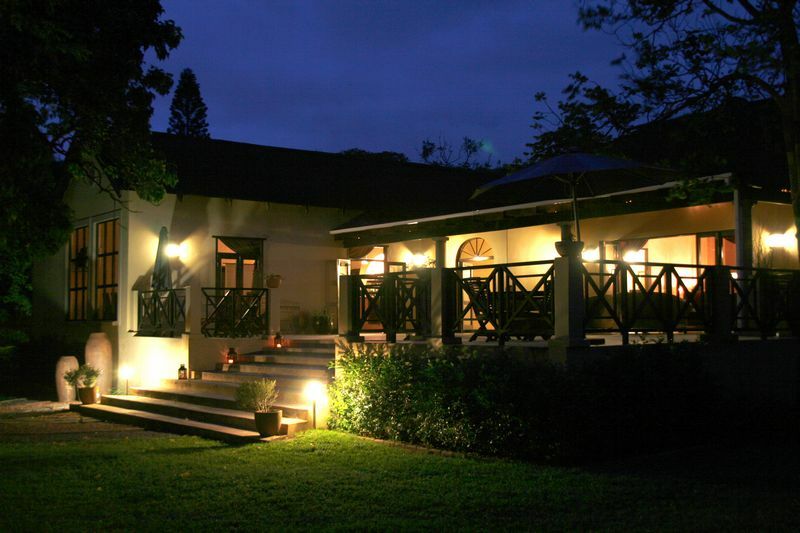 Umdlalo Lodge is located in Umtentweni a few minutes North of Port Shepstone, with easy access to the N2 Toll Road, Major Shopping Centres, Golf and Other Recreational Facilities. Umtentweni Main Beach is within easy walking distance. “Overall – This is a professionally run establishment where excellence is the only Standard! Guest comfort is priority. Commendations – Great Accommodation. Good hospitality. Great Food and Beverage Service. Web Review – High Impact WOW Factor. Great Use of Visuals.” (Abbreviated report). 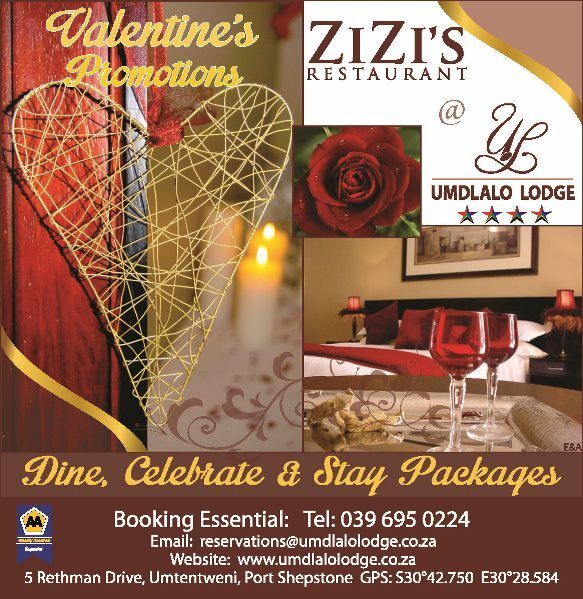 Enjoy the Umdlalo Lodge Website – ‘The Venue of Choice’. Thank you so much for the booking on Friday. My friend and I enjoyed it thoroughly. Your choice from the menu was excellent and our compliments to the chef. Daniel went out of his way to mix us drinks. We had a very relaxing evening. To our surprise we were sent home with a small bottle of champagne each.